Not that I'm counting down or anything. Last month, the whole fam volunteered at the Steven Curtis Chapman concert, where 85 children were sponsored through Compassion Canada (woohoo!!). the view from behind the compassion table. So, so many little souls waiting on that table for an unsuspecting concert-goer to change both their lives. how. cute. are. those. shoes. 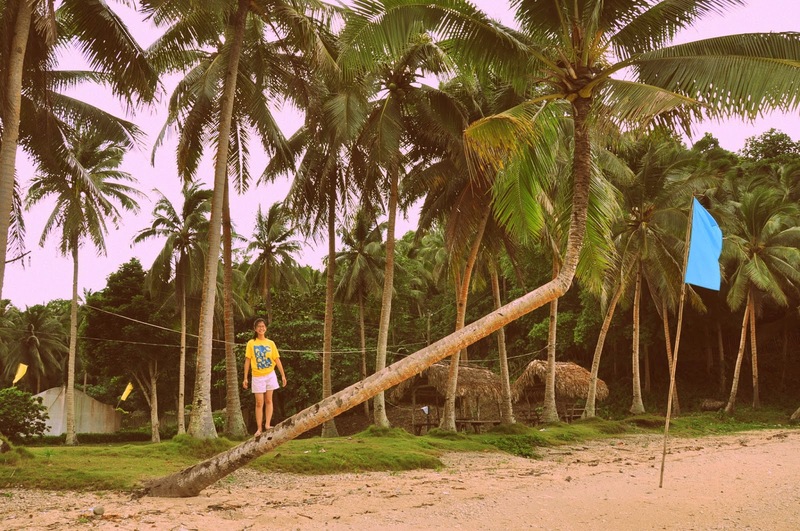 Jamson from the Philippines - where we will be in 19 days. I assured some first-time advocates that there would be no way this heart-stealing little boy would stay unsponsored through the night, let alone the rest of Steven Curtis Chapman's tour. Yet - here his unsponsored child pack sits on my desk. 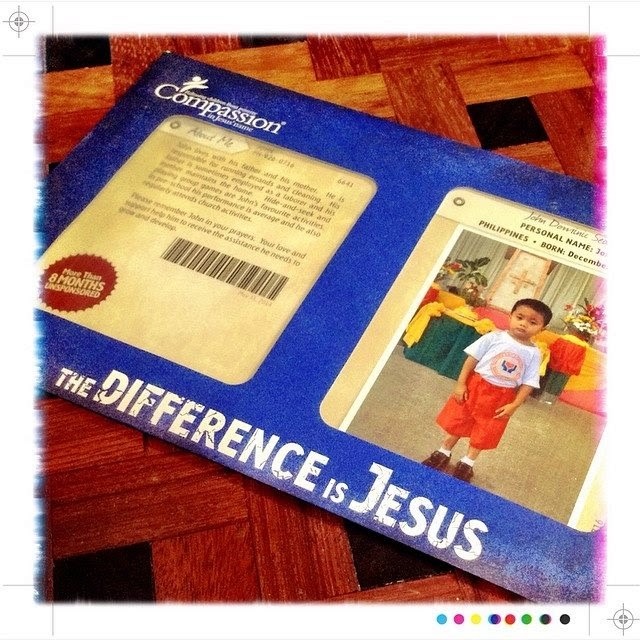 After travelling the entire country, here he sits in a blue envelope with "The Difference is Jesus" stamped across the bottom and two tiny windows into his God-dreamed life. And you know what - not only will we be in the same country and city as this boy in less than a month - we will be standing right where that photo was taken, in fact. 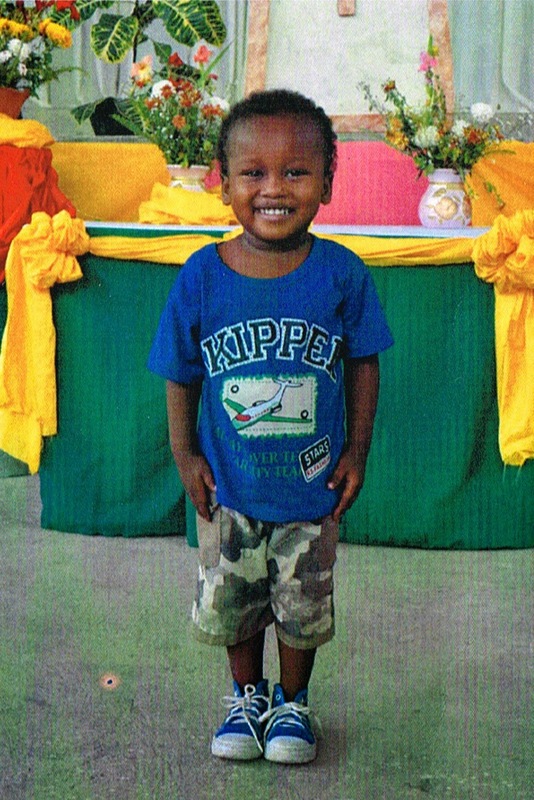 Because you see, our latest sponsored child, John, is from the exact same Compassion centre. the newest addition to our family - john. Can I tell you one more thing that makes this all too good? We will be standing there within 2 days of Jamson's birthday. Can you imagine the birthday gift *YOU* could be? And so what brings this whole story together, right here, is you. This moment where I ask you: Will you sponsor Jamson? You could be the gift. And oh my goodness - how you'll see that Jamson and his family will become a gift right back to you. That is wonderful. So excited for you all. Praying you through!